Will Liberals now boycott gas because of homosexual executions? So, tell me AGAIN… how does this work? How do you choose who to “boycott”? Isn’t fair for one fair for all? Can someone please explain this to me? “You won’t eat Chick-Fil-A because the CEO believes in traditional marriage? 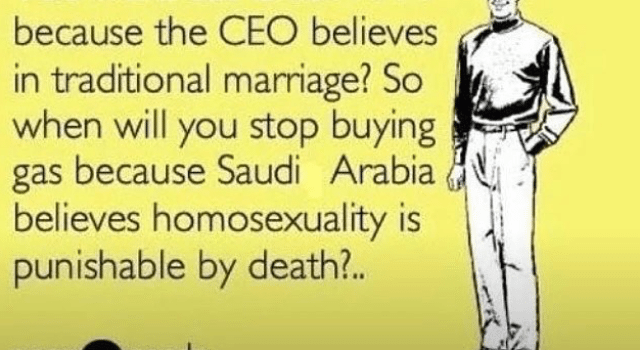 So when will you stop buying gas because Saudi Arabia believes homosexuality is punishable by death? Previous articleHappy Birthday America? – One year later!